Another busy week! With two significant new arrivals into the collection, much progress on other projects and another exciting development in the offing, the usual seven days allocated by nature and time to a week do not seem enough to get everything we want done! 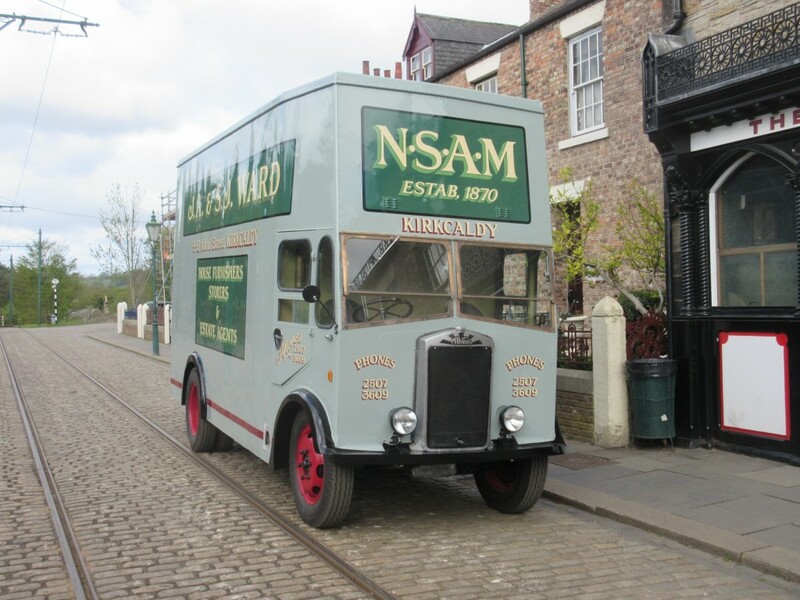 Some time ago Mr Julian Brett approached us regarding an eBay purchase he had made. 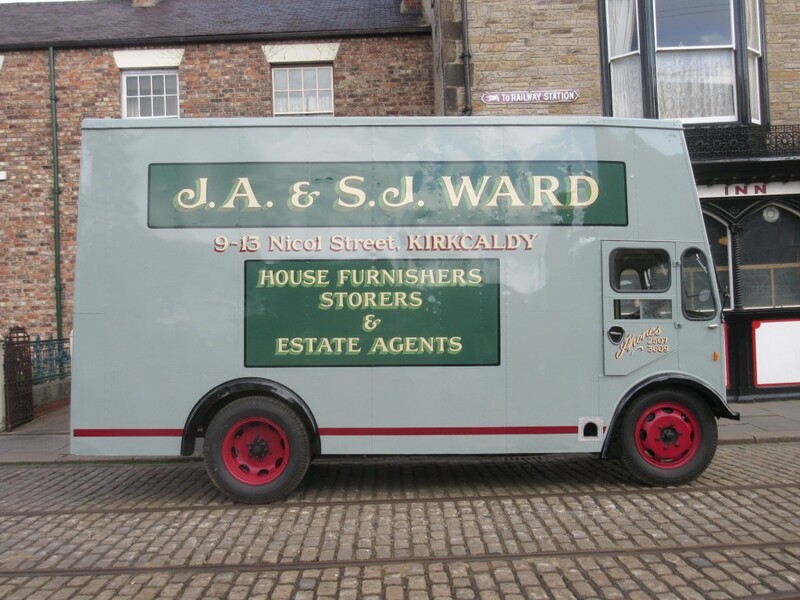 It was a 1947 Albion furniture van, which had seen use with a member of his family in Kirkcaldy. 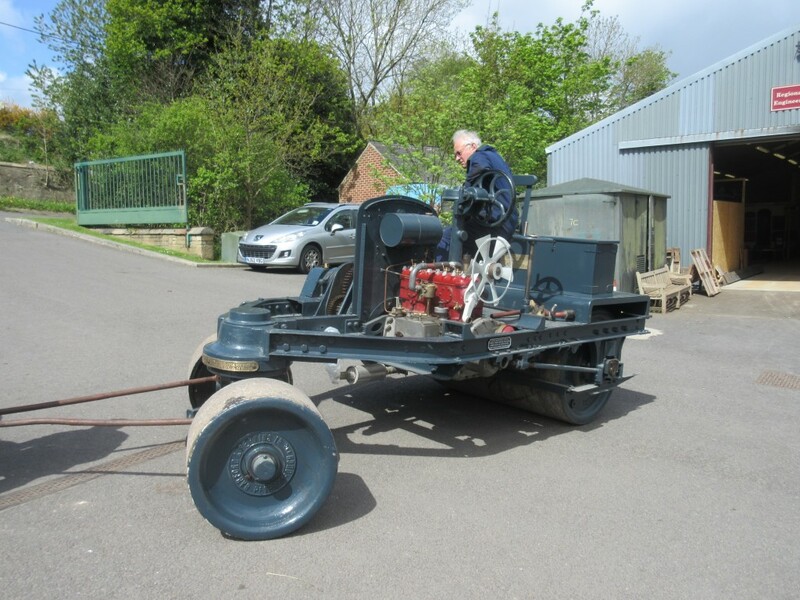 He was having the vehicle restored and was looking for somewhere suitable to loan it to, and operate it, on a day-to-day basis. 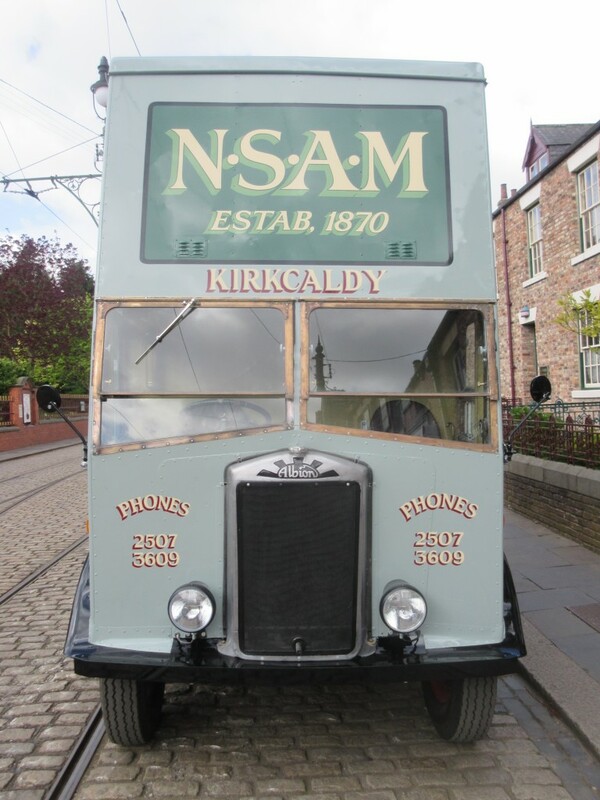 Some two years on and the vehicle’s restoration has now been completed. Having had some downs as well as ups along the way, it arrived under a veil of secrecy in April for painting, a task undertaken by Phil Anderson and Sarah Jarman. 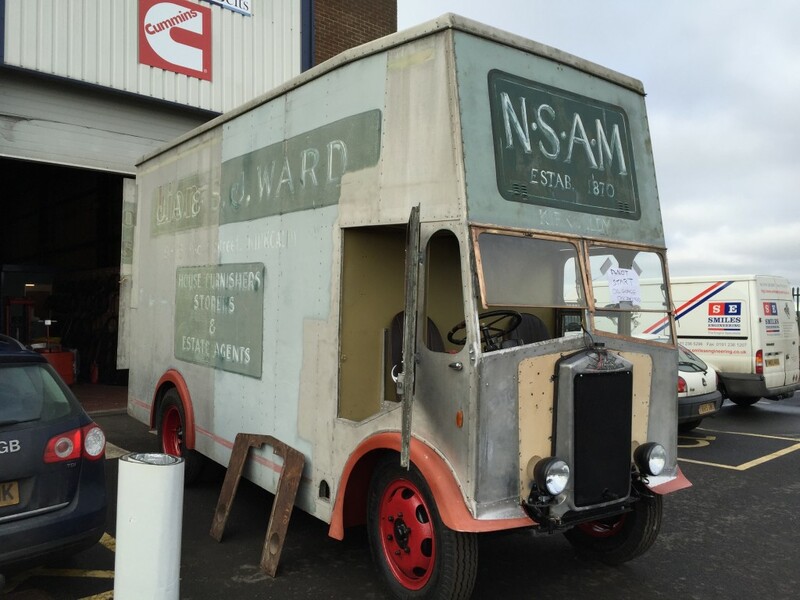 The secrecy was lifted today, with the vehicle being launched for Julian’s family, who had no idea he had bought the lorry nor had it restored (whence it has not appeared on the blog before!). 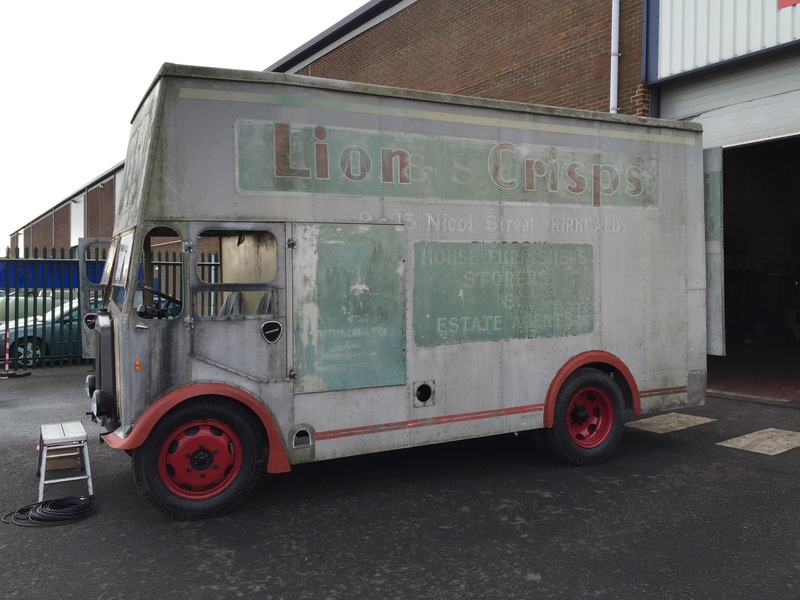 It is an Albion AZ9N chassis with Luton type body, built in 1947 and originally supplied to Lions Crisps before being sold to Julian’s grandfather, JA & SJ Ward, Furniture Removals & Auctioneers, Kirkcaldy, Fife. 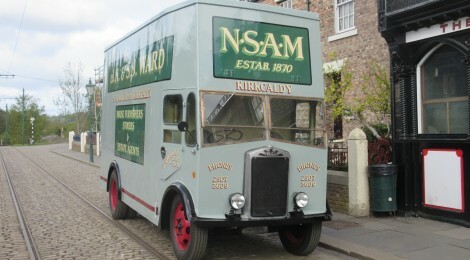 Both of the original liveries survived, as can be seen in the photograph below, taken before the van was stripped for repainting. 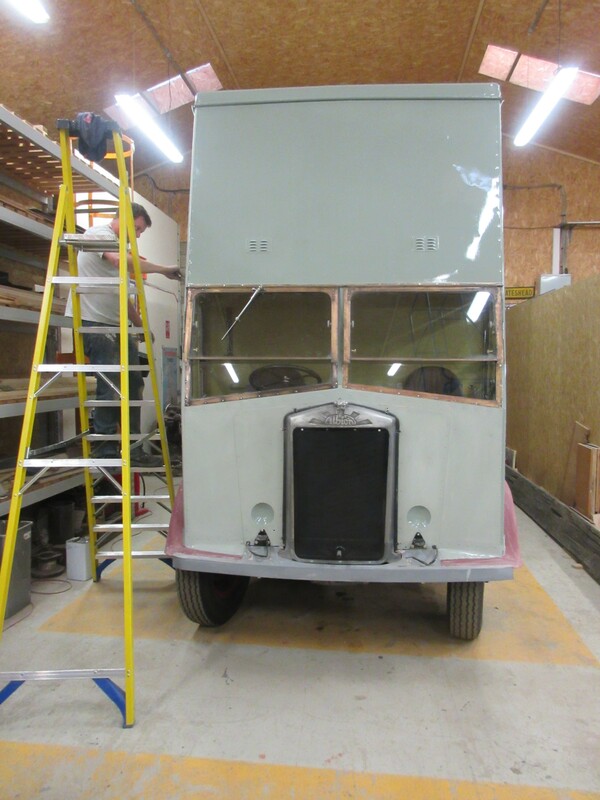 Below: The long process of stripping and preparing the Albion for repaint is seen underway in the Erecting Shop at Beamish. 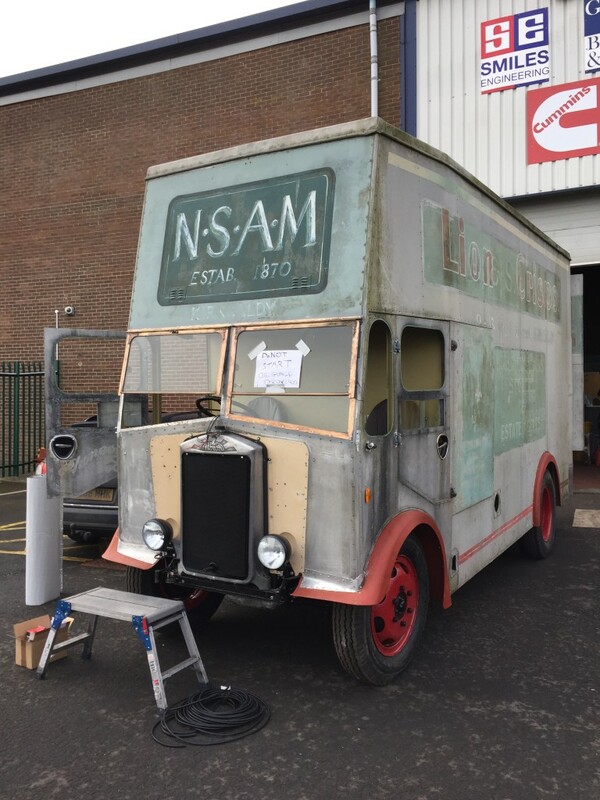 Below: Here is the finished result, rolled out this morning, the paint still tacky after an epic sprint to the finish line for Phil and Sarah at 1am this morning! 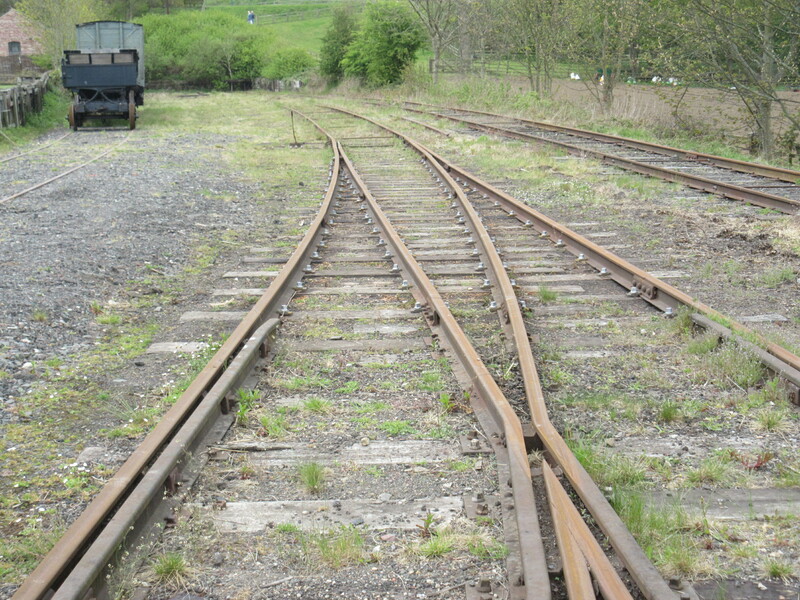 Below: Two turnouts on the Colliery railway system are presently receiving Darren and Marks PW attention. 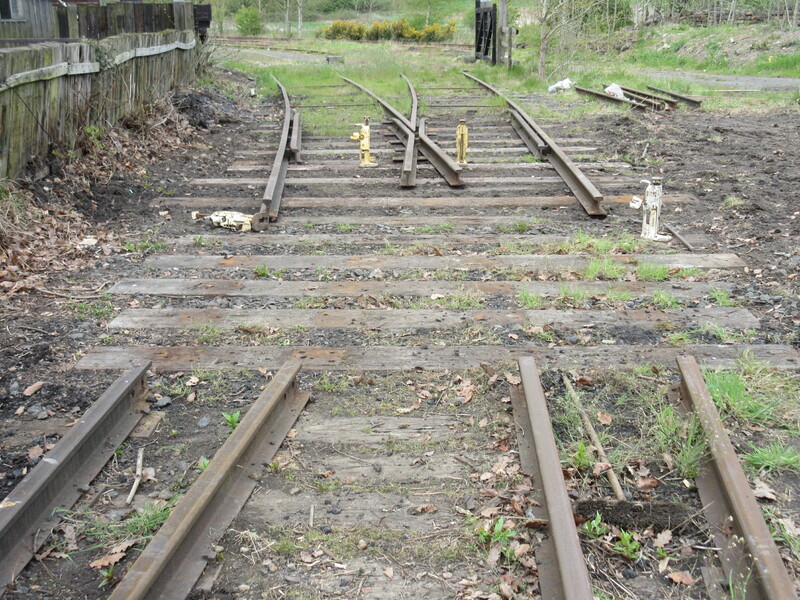 The first has been overhauled and re-fastened using screws instead of spikes, seen below after completion. 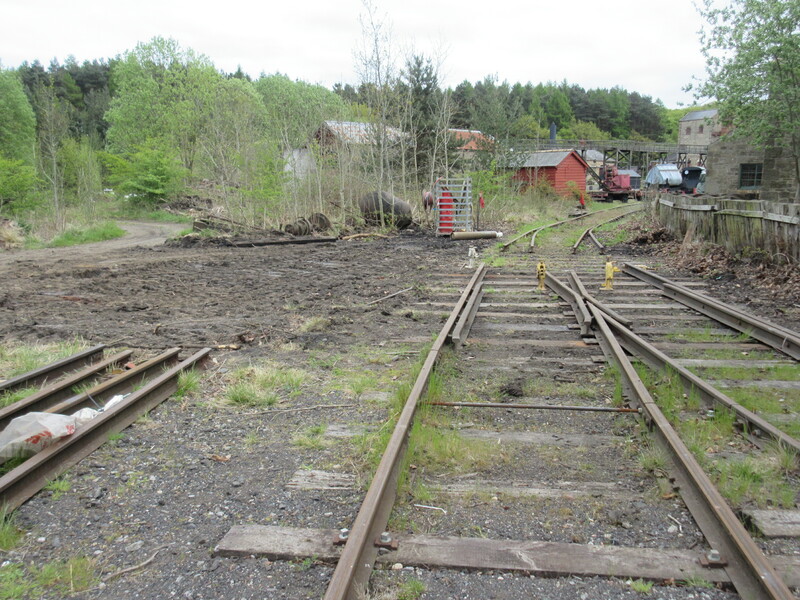 Below: The second, adjacent to the Sinkers Bait Cabin, is also under repair. 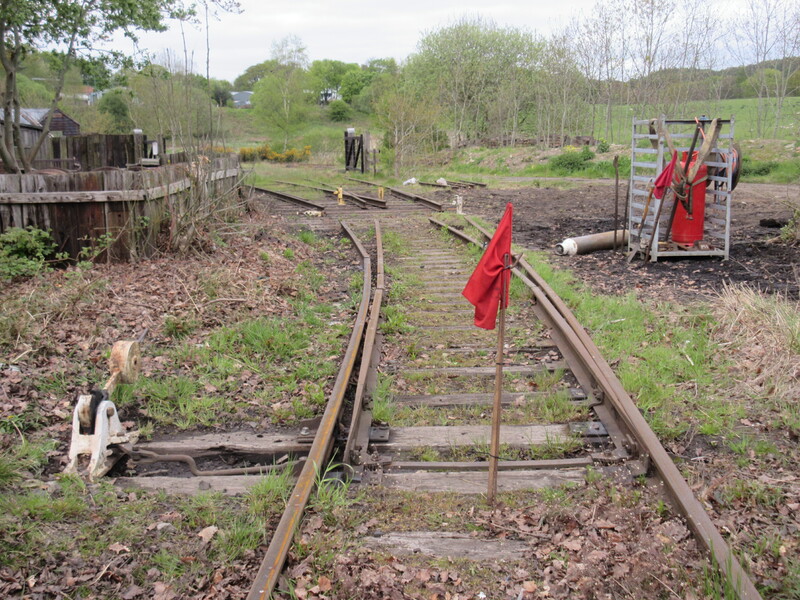 As well as an upgrade of the fastenings, an amount of local subsidence is being dealt with – this being where the railway was bisected in the late 2000s in order to install a sewerage drain from the Lamp Cabin to a reed bed in the middle of the site. 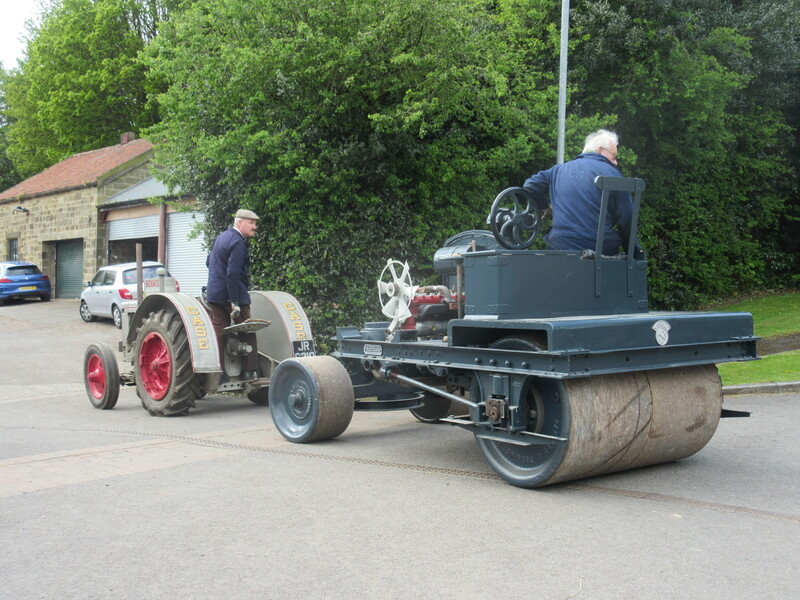 The trackbed was dug out for this purpose and has since settled, requiring this localised lifting and making good of the formation in order to remove a pronounced ‘roll’ experienced by drivers in this area. 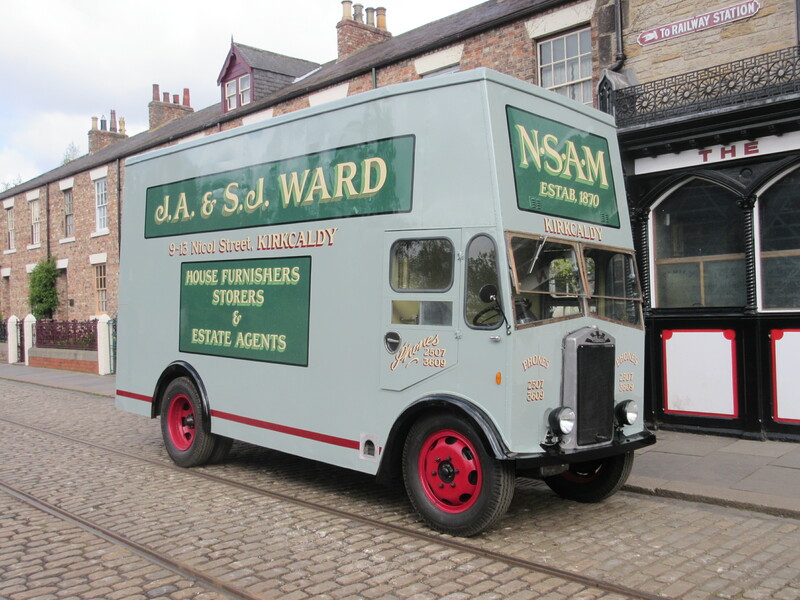 Most interesting to see the Albion furniture van restored! I have a family connection : the grandfather of the Ward brothers was my great-great grandfather. As I understand it, Mr Brett is connected to the Ward family: if this is the case I was wondering whether he would be interested in getting in touch to discuss and exchange family history. Are you good people able to ask him?